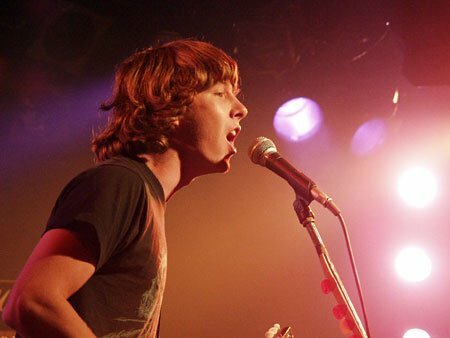 Ben Kweller is a power-pop treasure. On his third self-titled effort, he drives that point home again and again. He decided to play all of his own instruments, which usually means you're going to hear Bruce Springsteen's Nebraska album, not one filled with layers of piano, guitar, glockenspiel and xylophone, just to name four. Kweller sounds like he's grown up a bit too, especially on the song "Red Eye." Pixies producer Gil Norton should get a mention, for making Kweller more confident/more revealing than ever, lyrically. He throws in an irresistible rock riff on "This Is War," and spews forward his love verbiage on great pop cuts, "Sundress" and "Gotta Move." The 25 year old just became a new father recently, so maybe that's contributed to his new focus. A solid effort for Weezer or Ben Folds fans. I did an interview with Ben on the 13th and I'll be playing it as a one hour program with music spanning his career on my radio show, "High Fidelity", tomorrow night (9/24) in the 9pm hour (central). My show also streams on the internet. You can find all the info by following my link here to my myspace page.